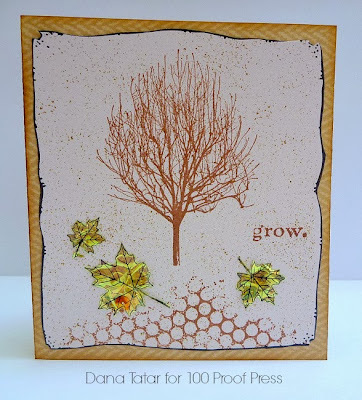 Today I have a beautiful card tutorial by Andrea Ockey Parr using 100 Proof Press stamps, Distress Inks, embossing powder, and watercolor. I was so amazed by the look and process of creating this card I had to make one myself. STEP ONE - Stamp the 15 Block stamp and heat emboss with black powder onto white watercolor paper. STEP 2 - Get out your watercolors and paint each square. Step 3 - Take Distress Inks and smudge them onto the areas that had corresponding colors. Step 4 - Cut out the 15 Block, hand-draw a border, attach some fabric scraps and pink thread. Stamp and emboss Live in Gratitude and mount it out black cardstock before adhering to the card. Oh so lovely! I have always been a fan of Andrea's use of color and fabric with her stamp art. To see her original post on this card and more of her lovely creations click HERE. In Tina Walker's final post as a Guest Designer for 100 Proof Press, she shares with us a background technique you can use with acrylic paints and rubber stamps. I have been very grateful to have Tina create such wonderful art with our stamps, and I thank her for her inspiration. Hi! Tina Walker here again today with my final Guest Designer project for October. 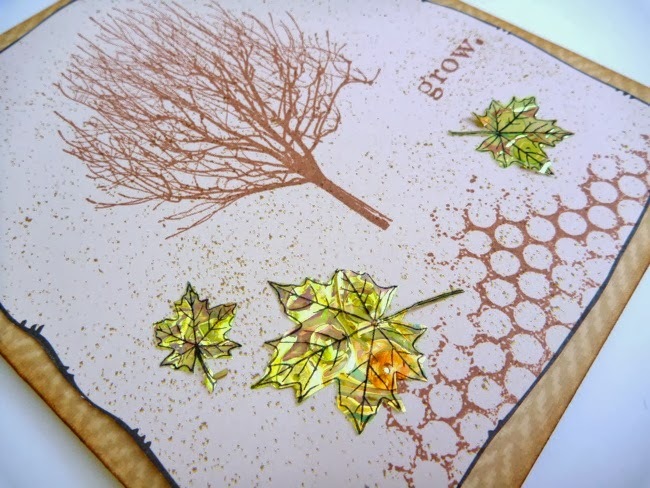 On my last October project, I showed you how to use background stamps to create texture on a Mixed Media layout. Today, I would like to share with you how to do the same technique to create an Art Journal page. To create the background for my Art Journal page, I added acrylic paint with several stencils from my stash. (just for a hint of color). After the paint was dry, I added random stamping for texture. Now for the fun part! To create your flower shape, hand draw several flowers on a thin piece of cardboard or heavy cardstock. Cut out the flowers and 'paint' around the edge, NOT covering the entire background. (I used Distress Paint) Doodle and paint your flowers with spray mist. Since the Distress Paint and Spray mist are transparent, the background is still visible. The spray mist is transparent, so you can still see the yummy stamping beneath. Finish off your Art Journal page with a favorite quote or sentiment. 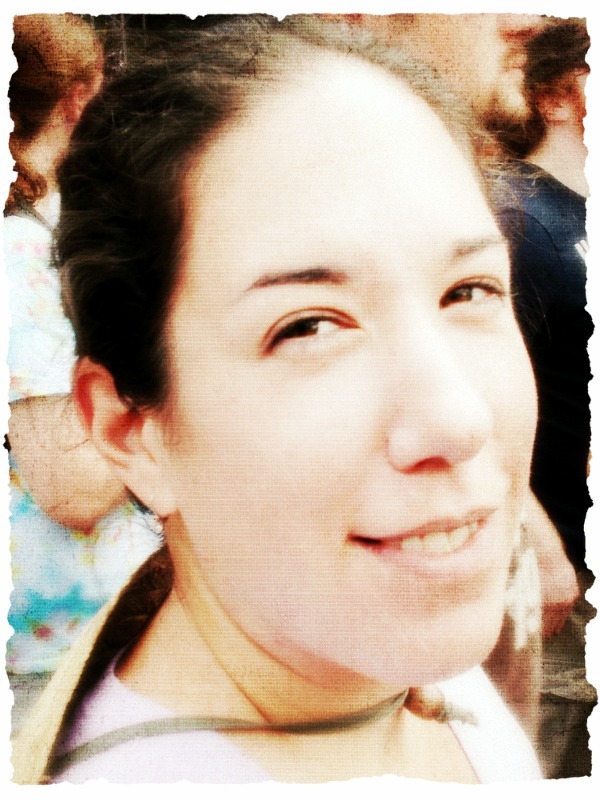 I'm excited to introduce Joy Holder Northrop as a guest artist for 100 Proof Press! 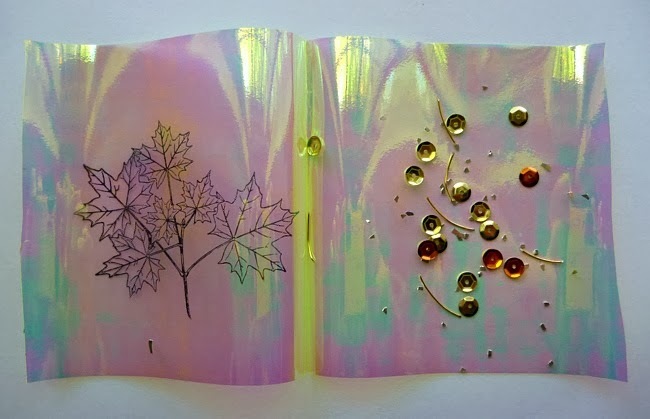 She creates whimsical mixed media pieces that display a variety of techniques and materials. I love the creative spirit she portrays in her artwork. She runs an Etsy shop, autumnsensation, where her pieces are for sale. Anyone for Croquet? You can connect with Joy on her Facebook Page, or in her Etsy shop. I hope you've enjoyed the collection of paper houses created from Silke's artistic imagination. I have really enjoyed sharing her artwork with you. 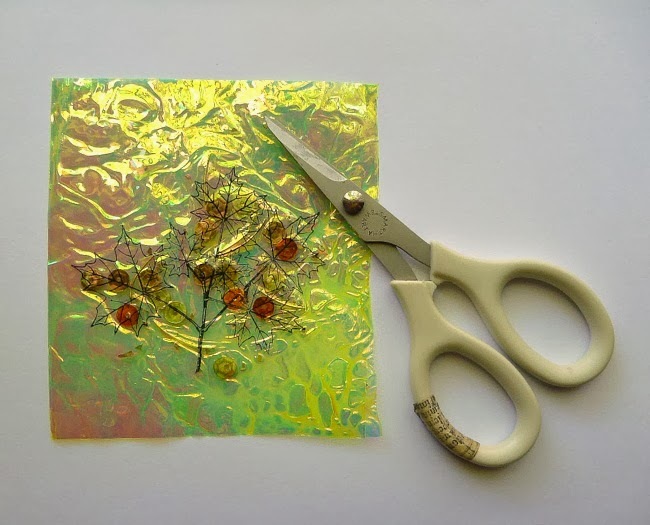 Here is a fun idea from Silke Riger. Surely every crafter has some odd and ends that could be turned into fun pieces of art for a fridge. 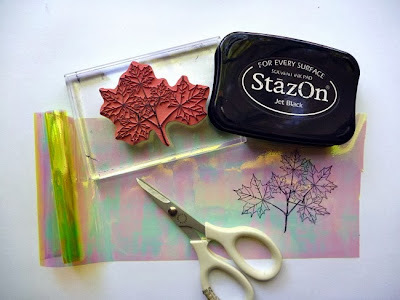 So get out your Mod Podge some stamps and paints and make some magnets. They are small enough to complete in a short time - and your soul will smile after a little bit of time spent stamping it up! Easter's on its' way, and so is a 100 Proof Press Egg Truck! Here's the Easter Express designed by Silke Rieger. I noticed Silke's work published in a Stamper's Sampler, and asked her if she wanted to some stamping with 100 Proof Press Stamps. And here is the first project I have to share with you. Everyone loves embellishments. But buying them? That’s a different story. I used the 100 Proof Press WOOD GRAIN RECTANGLE (#1550) to create some fun and trendy embellishments that were both easy and affordable. The stamp is deeply etched so you’ll get a lot of detail with your stamping. My goal is to create an embellishment that looks like a thin shaving of wood veneer. To create this, I used tissue paper and Distress Inks in Wild Honey and Vintage Photo. 1. Start by stamping in Vintage Photo on a plain sheet of tissue. Stamp consecutively seven or eight times. It doesn’t have to be perfect, but you will want to get the images very close to each other. Try turning the stamp upside on occasion to create wood variations. 2. Using a cosmetic sponge or an ink blending tool, apply generous amounts of wild honey over the stamped image. 3.Using deckle scissors, cut the top and bottom of the strip. (Or use regular scissors and cut jagged edges.) do you recall the look of pencil shavings? That is what you’ll be imitating. After cutting, you’ll have a nice strip. Turn it over and repeat steps 1 &2. 4. Gently pleat the strip back and forth to create ridges. It’s looking good! You can stop now and use it as it is, or continue on and create wood grain shapes. 5. Want to make some fun veneer shapes? Easy! Cut some shapes out of cardboard or use “pop-dots” or other found objects. Adhere with a strong glue stick. Note, if you use wet glue, the distress inks will react and you’ll get a smeared mess. If you use glue dots or other dry adhesives you will not get as good of results. 6. 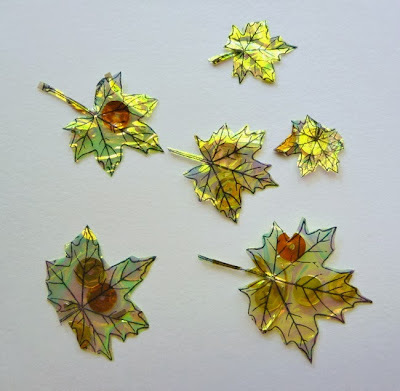 Before glue dries, flip the embellishments over and gently form the tissue around the shape. Be gentle! Tissue rips easily. But it molds easily too, so your edges will be smooth. You know have “wooden” shapes. How cool is that? Thanks Michelle for a wonderful tutorial. Sharp Owl and Wood Grain Buttons! Looking so Sharp. I hope you've enjoyed all the of stamp art Dana Tatar has created. If you've missed it, you might want to check out the previous posts from this week. Dana created a tutorial for a Fall card, made two very sweet cards, a series of ATCs, and today I'm sharing some stamped jewelry. Dana has made a cutest charm bracelet that uses several of our stamps and shrink-plastic. If you have never tried the shrink plastic you should, it is fun for all ages. I love how she used The Three of Us stamp and separated the girls. She also used the Santa Moon, a Snowflake and a Bird. And here's a set of earrings Dana made with the squiggle. Cute, stuff, right? Hi 100 Proof Press fans! Dana Tatar here with you today sharing a sparkly Autumn card that features leaves made with Angelina Film. It is quick and easy to create shimmery embellishments for your projects with this fun material in a few simple steps. Step One: Using a solvent ink and the 100 Proof Press Leafy Branch Stamp, stamp a set of leaves onto a piece of Angelina Film. Cut the Angelina Film to a length that is double the size of the stamped image. Step Two: Fold the Angelina Film in half, with the stamped image on the outside of the film, to create a film booklet. Open the film booklet and add small sparkly embellishments, like sequins and glitter, to the inside of the booklet. Close the film booklet so that the stamped image is on top. Step Three: Place a pressing sheet, or piece of parchment paper, on top of the film booklet. Set an iron to the silk setting and iron for a few seconds to bond the film together. Cut the individual leaves apart. Step Four: Add to a project for a fun pop of color and shine. Thanks so much for stopping by today! A big thanks to 100 Proof Press for the fantastic stamps and the opportunity to share my work. Dana Tatar I am a stay-at-home mom currently living in Virginia with my husband and two daughters. I started paper crafting about 7 years ago and have expanded from scrapbooking and now create a little of everything, including cards, tags, ATCs, arches and small gift and home decor items. I frequently find inspiration in music, poetry and pop culture. I'm an active blogger and I like to share my tips and ideas. When I'm not creating art, I enjoy cooking and baking, reading, listening to music and spending time outdoors with my family and basset hound. If you visit Vicki's blog, The Creative Goddess, you can read the full tutorial on how to create this project (to be aired on Scrapbook Soup). This vibrant piece of art sure does tell a story - it makes me want to dig up some old photos and create a fun mixed media project.